Discontinued. See Racing Main Page for available models. 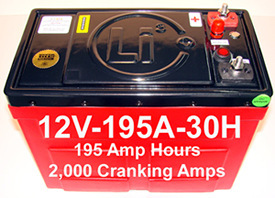 12 Volt Auto Racing Battery With a Real Carbon Fiber Battery Case. 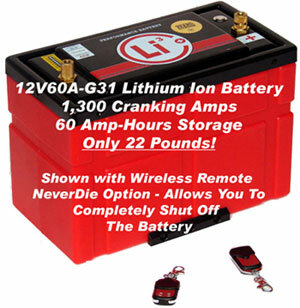 This great, lightweight and low cost lithium ion battery has 16 Lithium Amp Hours Reserve Capacity and 850 Cranking Amps. 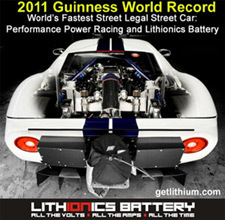 This battery can be used for High Performance Sports Cars and Auto Racing. 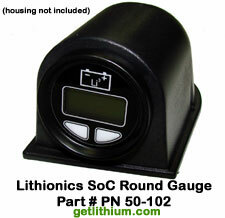 Battery Meters/ State-of-Charge Meters and Gauges are also available at additional cost. 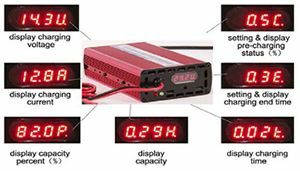 For multiple battery systems, our Neverdie Battery Management System (BMS) Control Box may also be required (shown below). 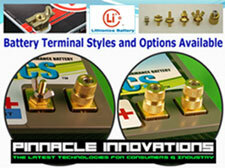 External NeverDie Battery Management System Control Box Option from $657.43 USD. 2.25% Discount For Cash Payments. 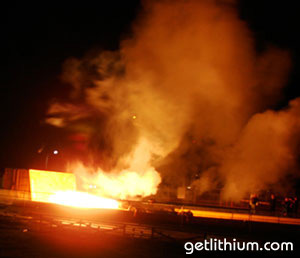 Fleet Pricing, and Volume Discounts also available. Prices may be lower for in-stock items or for multiple items ordered in a single shipment. 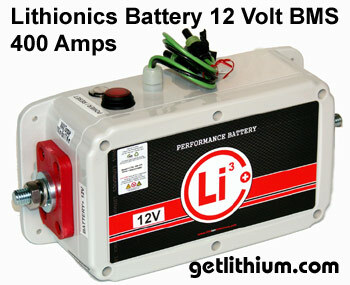 All Lithionics Battery 12 Volt Engine Starting Lithium-ion Batteries can be charged with either a 12V rated alternator in proper working order or a Lithionics Battery LiFePO4 Charger. Failure to do so will void the battery's warranty. Aliner by Columbia Northwest Inc.
Beaver Coach Host Industries Inc.
General Coach - a division of Thor Industries Inc. 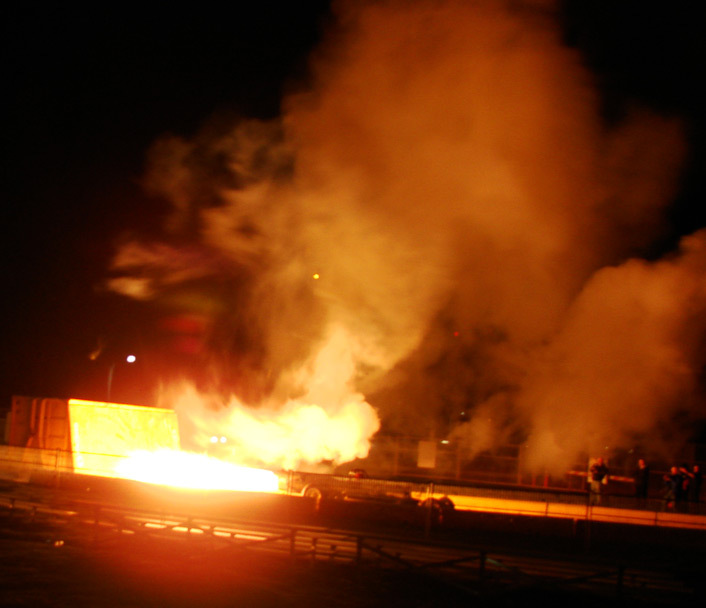 Deep Cycle & Engine Cranking. Only 22 lbs! 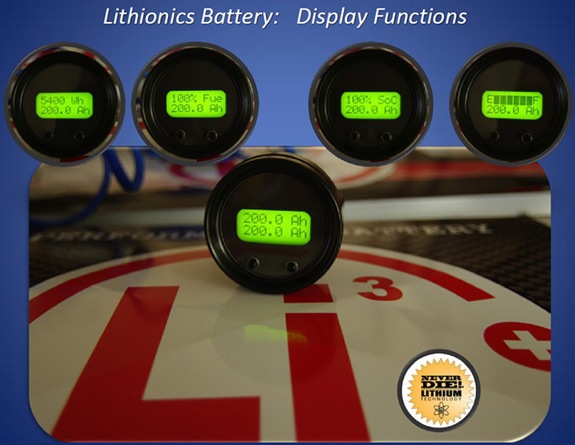 Lithium-ion batteries for sale all across Canada including Toronto, Montreal, Calgary, Ottawa, Edmonton, Mississauga, Winnipeg, Vancouver, Brampton, Hamilton, Quebec City, Surrey, Langley, Laval, Halifax, London, Markham, Vaughan, Gatineau, Longeil, Burnaby, Saskatoon, Kitchener, Windsor, Regina, Richmond, Richmond Hill, Oakville, Burlington, Sudbury, Sherbrooke, Oshawa, Barrie, Kingston, Cambridge, Coquitlam, Whitby, Guelph, Kelowna, Saanich, Victoria, Nanaimo, Thunder Bay, St. John's, Red Deer, Kamloops, Fort MacMurray, Fredericton, Grande Prairie, North Bay, Whistler, Prince George, Pickering, North Vancouver, Aurora, Shawinigan, Moncton, Saint John, Lethbridge & more.